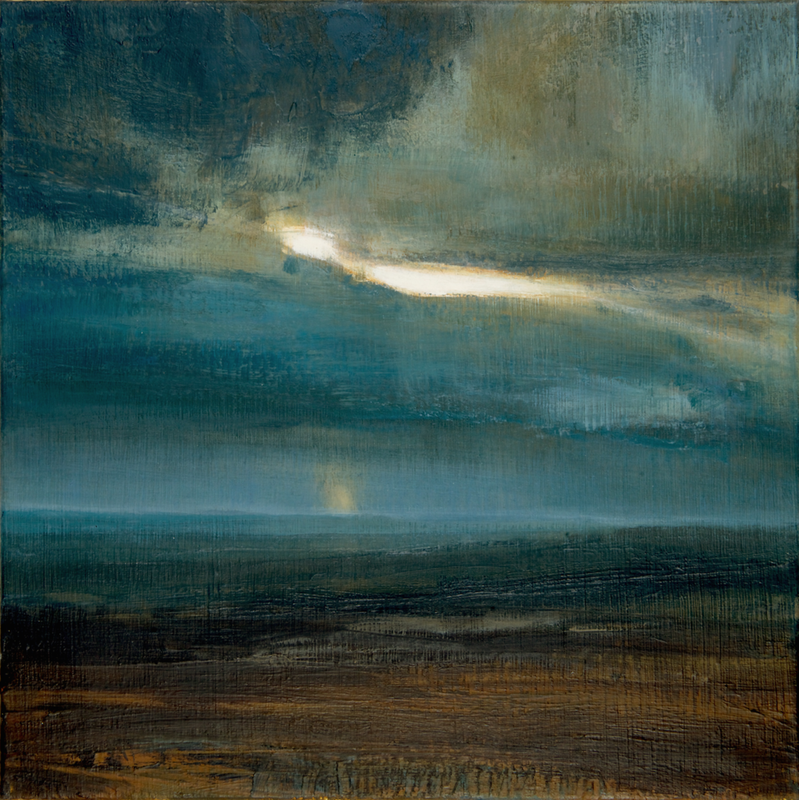 The drama of painting outside in the changeable conditions of the British landscapes, particularly how the South Downs skyscapes illuminate the glacially sculpted horizons, are an inspirational subject matter that can be representational of life’s changes and the mood of the spectator. I paint outside ‘en plein air’ and inside as a studio painter. Painting outside allows a great freedom, placing me within the scene so that even a small painting has a large sense of space. This can invite a viewer closer to the original event. How I feel and what I communicate gets recorded subliminally on to the painting – this can go beyond my conscious intentions and chosen colour palettes allowing the painting to be open to interpretation from the spectator. 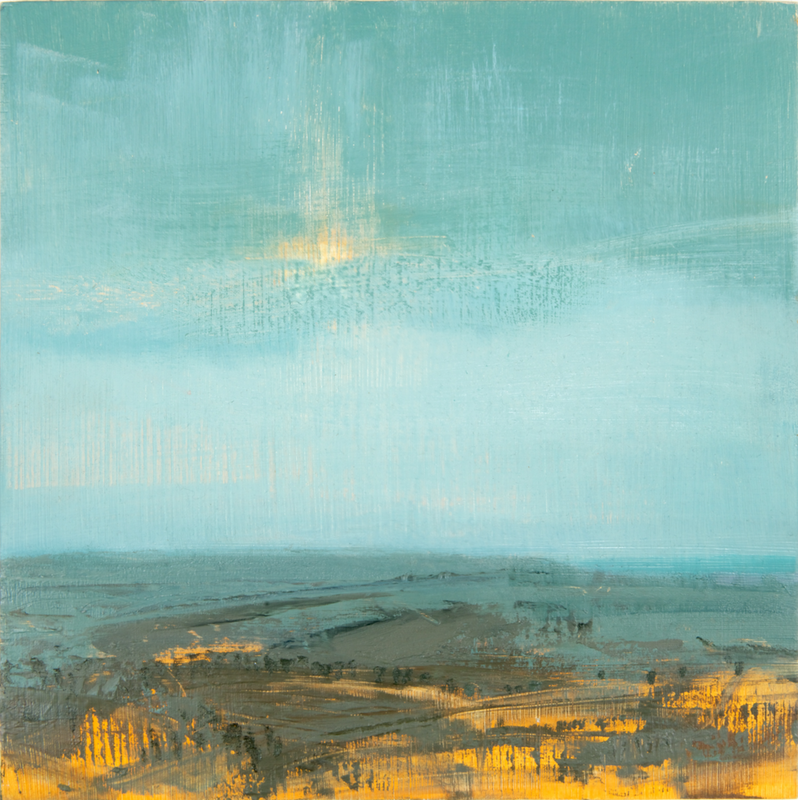 In the studio I layer the sky and land with further paint and glazes leading to new surface tensions and colours between the painting and its surface letting this painting process reveal discoveries afterwards. But many of the original on-site mark-making is left very visible at the final layers for a ‘live’ feel. Artist inspiration — Kapoor, Kiefer, Martin, Turner, Rembrandt, Nolde, Corot, Klimt, Enkaoua and Eardley.